Robert Whittaker: "UFC fighters getting title shots after missing weight is not fair"
In the past couple of years, we’ve witnessed a trend in the UFC that’s been rather disheartening. Top tier UFC fighters have received title opportunities not long after missing weight for a fight. Since this has been occurring, it’s put weight classes in a bit of disarray and often left in confusion as to who is or isn’t the legitimate contender in their respective division. A prime example of this issue, goes back to when Yoel Romero, a relatively humongous 185’er had missed weight back in February at UFC 221. Another example of the despicable trait is currently happening in the UFC welterweight division with Darren Till, who himself recently missed weight in his last fight with Stephen Thompson. Obviously this latest stunt the UFC’s been pulling has left many of fighters in extreme frustration, one of them being UFC middleweight champion Robert Whittaker who expressed this while attending the UFC Media lunch yesterday. The champ stated he at one point contemplated not fighting Romero after him missing weight, but then said at the time that decision would have been nearly impossible to make, as he really wanted to fight, needed to get paid, and most of all did not wanna let any of his fans down. 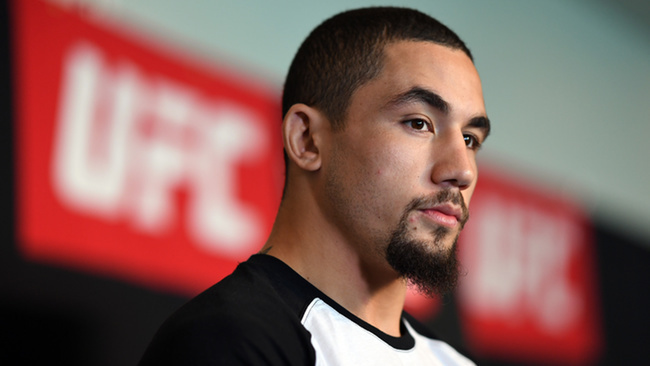 Whittaker finds it hard to digest the new unfortunate wave going round in the UFC of fighters getting title shots who are missing weight, in what he believes is another form of cheating.